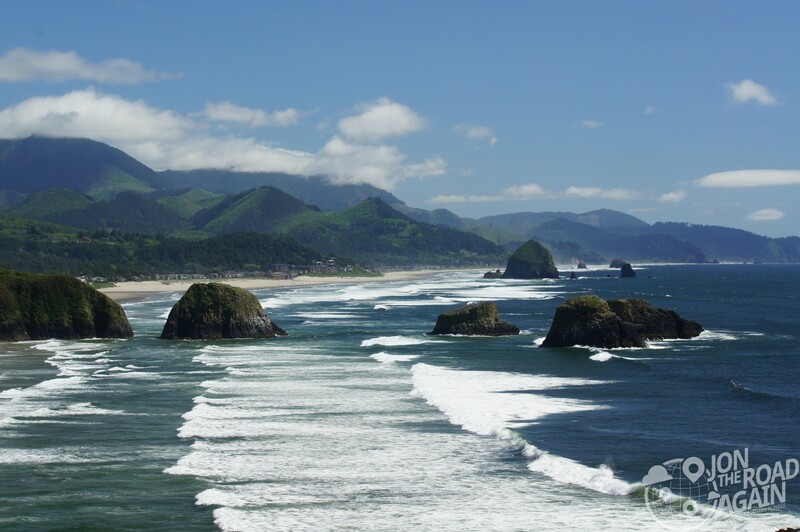 Day One of this Oregon Trip takes me from Seattle to the Oregon Coast along Highway 101. 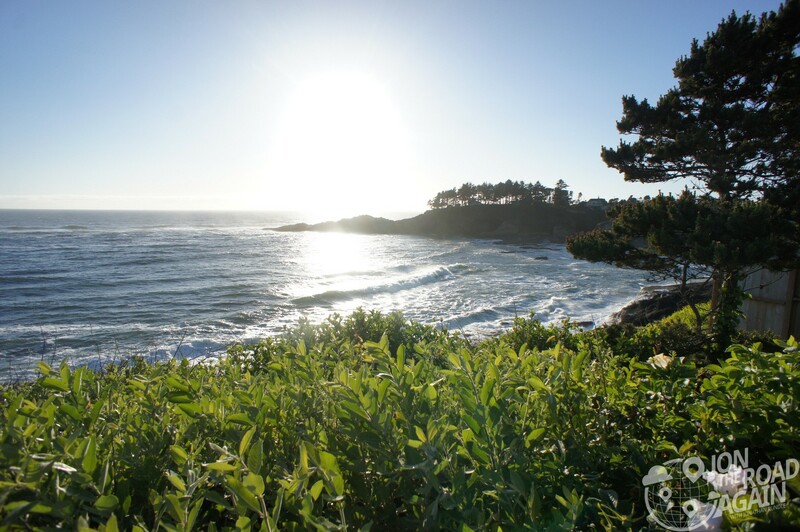 Coastal twists and turns, beaches and lighthouses await. Seattle to Astoria is a fun little jaunt by itself. Leaving the strip malls and the traffic behind, 101 meets I-5 at Olympia. You’re heading into small town logging country. 101 gets fun right before the little town of Raymond, WA. Here, the twisties take you through Weyerhaeuser tree farms. Be aware that you’ll likely share the road with lots of logging trucks and maybe even a few deer – one decided to slowly come out and say hi to me. 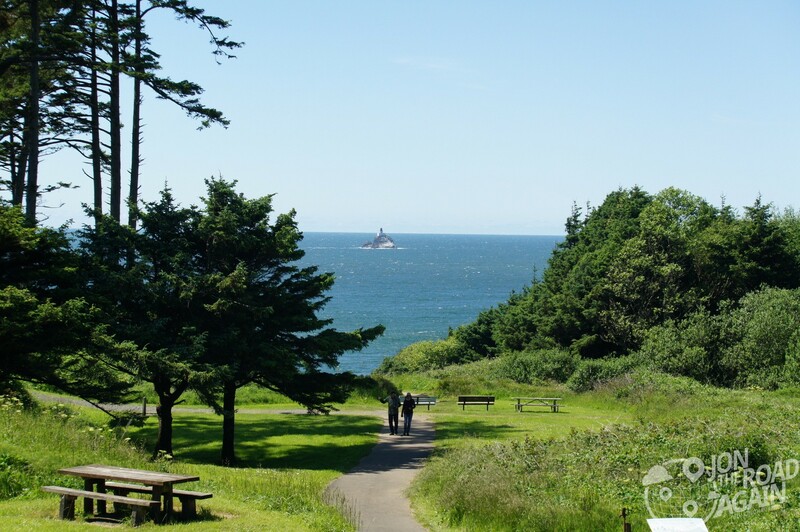 My plan was to go into Astoria and see the Astoria column and the Goonies House. The column was covered with scaffolding and white plastic and the Goonies house was guarded by bearded old men that wanted me to park three block away. So, I got the hell out of Astoria and continued down the coast. I did manage to see the Kindergarten Cop school, for what that’s worth. 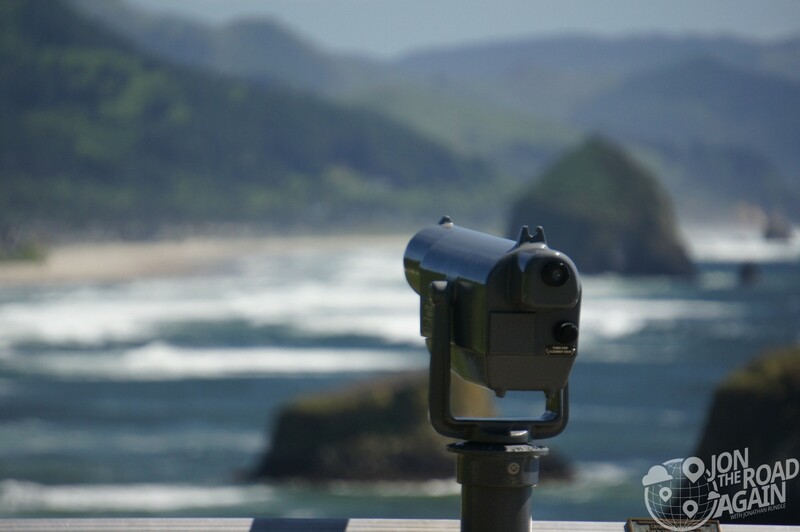 Just north of Cannon Beach, I highly recommend visiting Ecola State Park. 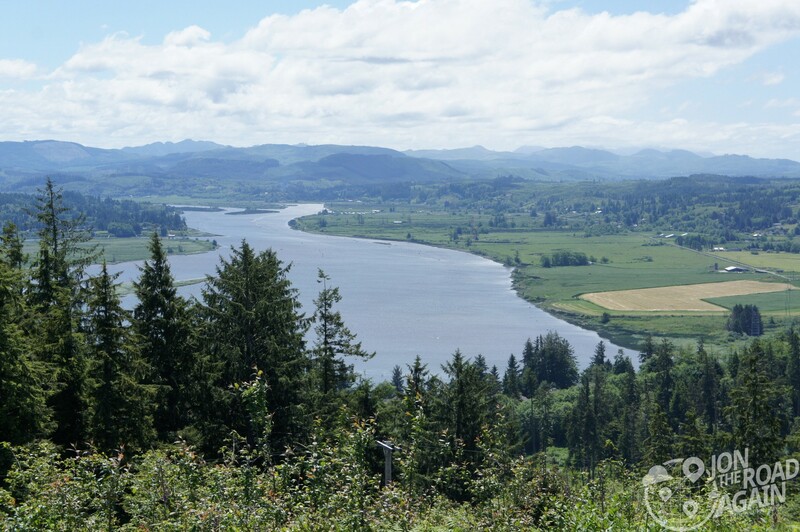 All along the north coast you’ll notice that you’re following in the footsteps of the Lewis and Clark expedition. Capt. William Clark would call Tillamook Head in the park “the steepest worst & highest mountain I ever ascended.” Shortly after Christmas Day in 1806, Clark and 12 other expedition members, including Sacagawea, climbed over rocky headlands and made their way through thick shrubs and trees to see a beached whale south of what is now Ecola State Park. I don’t know what gave Capt. Clark such problems, but now you can take a shady blacktopped road all the way to a parking lot overlooking Haystack, Needles and the Tillamook Rock Lighthouse. Once into the park, there are plenty of hiking trails. 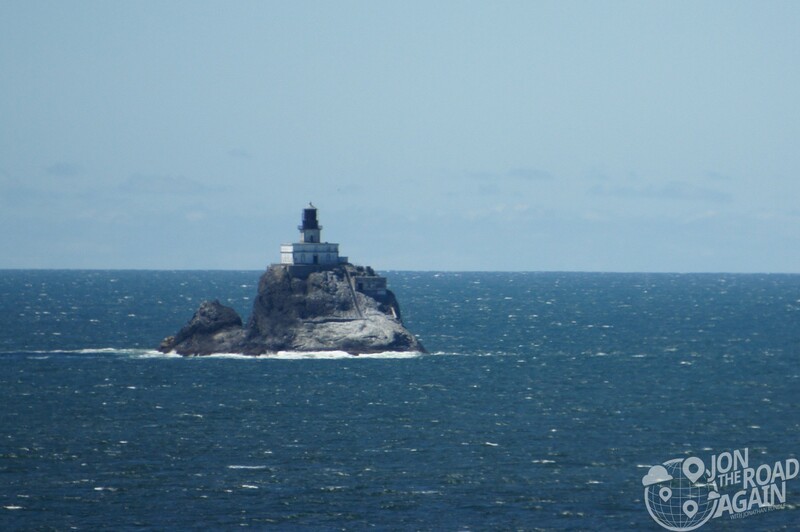 I followed a short one that opens up to a view of the Tillamook Rock Lighthouse. “Terrible Tillie” as she’s called was the most expensive ever built on the West Coast at the time (1881) coming in at $125,000, or $3.6 million in 2015 dollars. The lighthouse was decommissioned in 1957 and eventually became the final resting place for about 30 people. 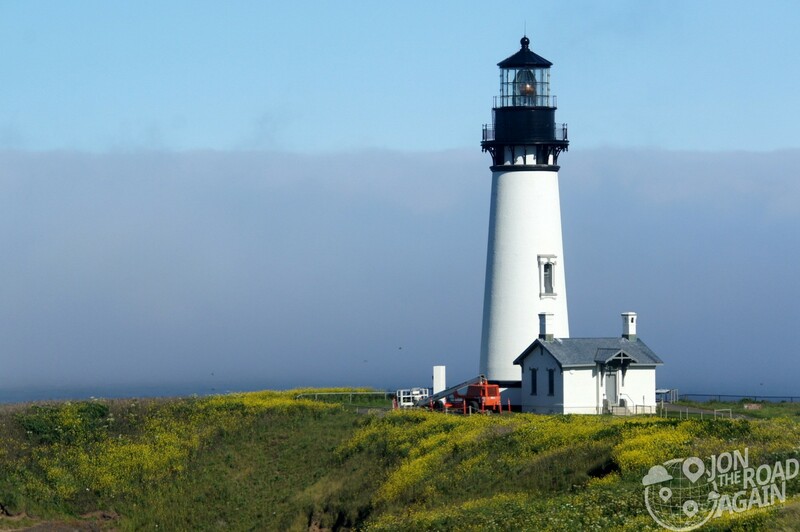 A group from Nevada bought the lighthouse and marketed it as a columbarium – a place to store funeral urns. After about 30 urns were placed in the building, they lost their license and the lighthouse has fallen into disrepair. Now, the birds have taken over and the building’s owners aren’t even allowed to go to the lighthouse during nesting season. 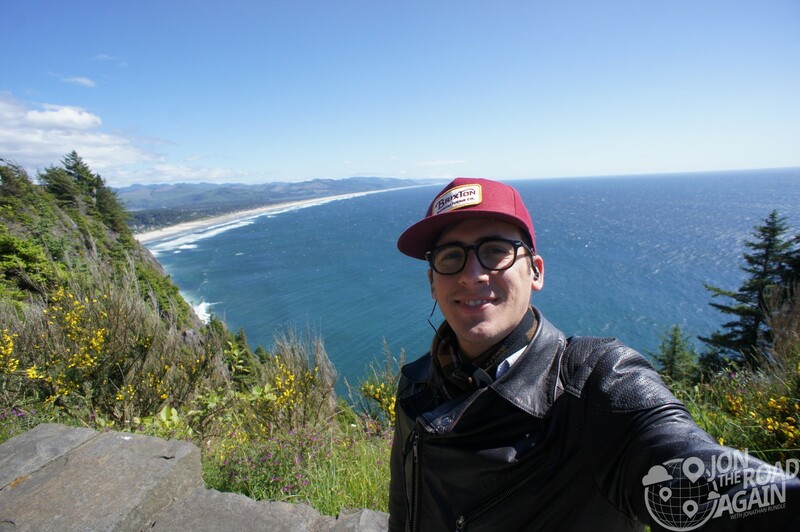 Just before Neahkanie Beach, 101 has a few view points worth checking out, even just for a selfie or two. Depoe Bay is my stopping point for day one. Depoe Bay is a short strip along 101 known for whale watching tours and having “the world’s smallest harbor.” I had dinner at a nice little place called “Tidal Rave” and slept another nice little place called the “Four Winds Motel.” If you’re looking for cheap and comfortable, that’s the place. For $60 a night I stayed right on 101 with a view of the ocean. Not bad. The start of Day two had me going south until I hit Reedsport, then inland to Crater Lake. 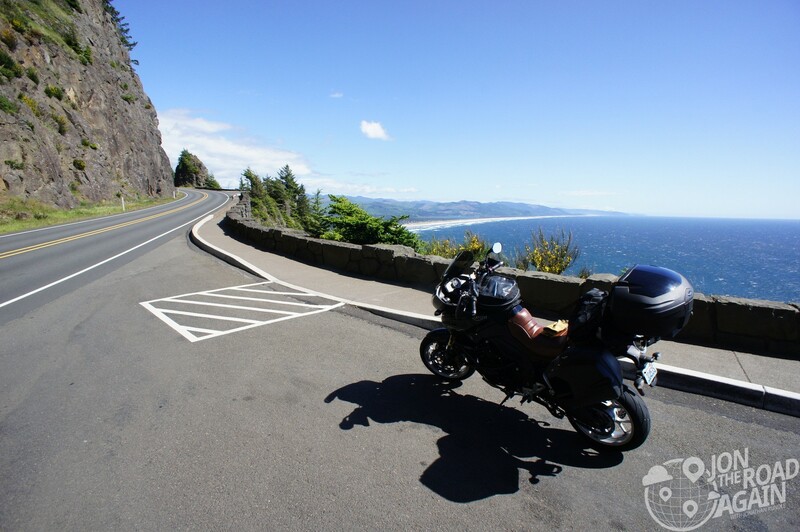 Between Depoe Bay and Reedsport there are a ton of beautiful stops to make. 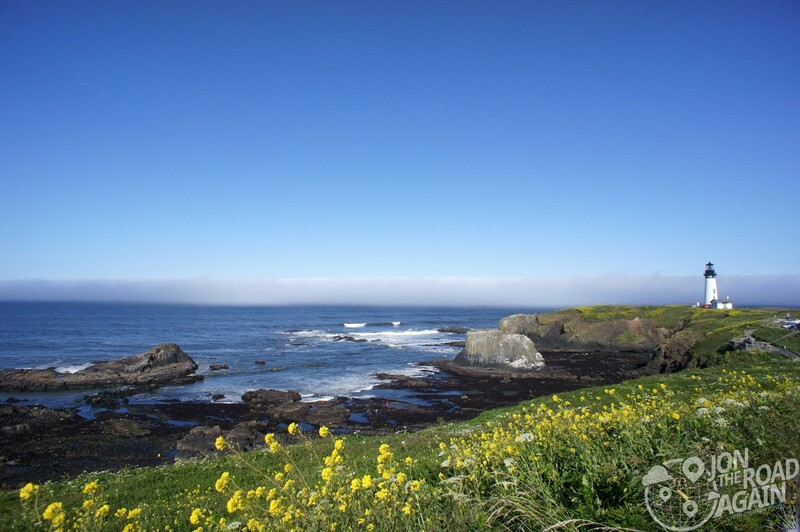 Coming into Newport, you’ll have the Yaquina Head Natural Area which features a very impressive lighthouse. The city of Newport has, from what I understand, a lovely aquarium. I didn’t visit, but I did ride on the historic Yaquina Bay Bridge and see the Yaquina Bay Lighthouse. Next time I’m in the area I plan to see Thor’s Well, the Sea Lion Caves and rent a dune buggy and play in the Oregon Dunes National Recreational Area. Just more reasons to return! 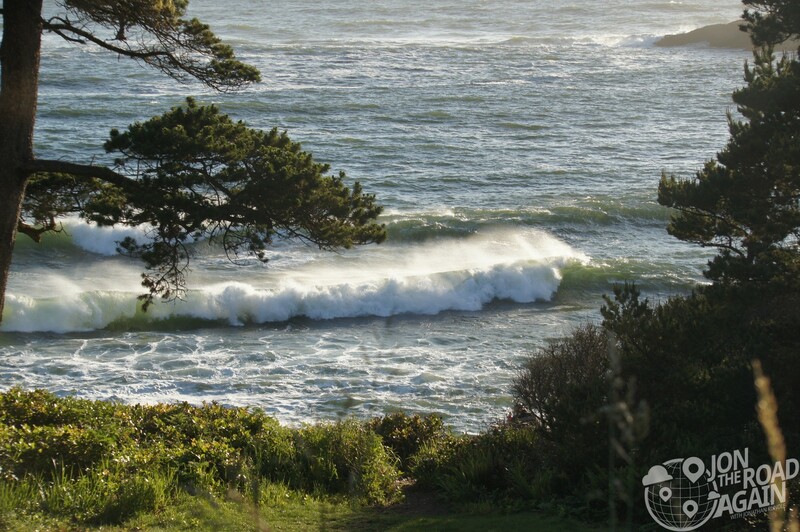 Finally, I should note that the road between Yachats and Hecetia Beach is a motorcyclist’s dream. 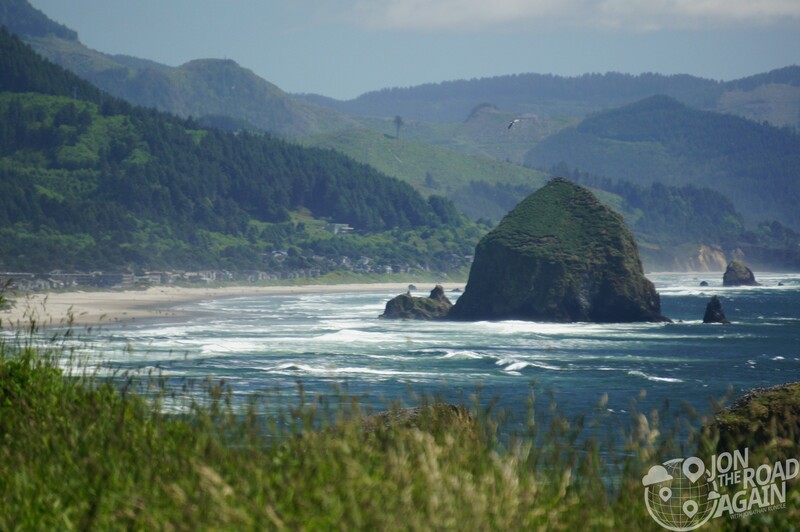 Easily the best area for riding along the Oregon Coast. Read on – Day 2: Riding to Crater Lake.